When you use Swap Language services you trust us with your information. We want to give you an overview and understanding on what data we collect. We will also explain why we collect it and what we do with it. Please take the time to read it, so you are fully aware of what information is collected. Swap Language will refer to themselves with (Swap Language, us, we). Swap Language can be used for many different purposes. Whether you want to find a language partner for free or go to a free Group Swap. The information you share with us, by for example creating a Swap Language profile, we can use to make the services better. When you use our services you should be aware about what the information you give is being used for. What information we collect, why we collect it and how we use it. The choices we offer and how to access and update information. We collect information in order to adjust our services the best way possible for excellent user experience to create the best value on our website. Our website is build up around a matching service that match language partners in the city they are in, so they can meet in real life and exchange languages and cultures. We collect information we can use for the purpose of understanding our core target group, marketing purposes and for purposes of strategy development. If a user has been inactive for 3 years, the personal information about the user will be deleted from Swap Language. Our users have preferences for which gender they would like to swap language with. Some people are better at communicating with men or women. The service will give the user the best experience and give them the information they seek about the potential person they want to meet and swap language with. We use this data to understand which gender that has the biggest interest in learning languages with language partners. We use this information to know what gender we should focus our marketing and advertisement for potential new users. Our users can find language partners in the city they are currently in. This way they can set up one-on-one meetings or group meetings with users that have the same interest in languages and cultures in real life. We match language partners in the city they are in. That is the whole purpose with our service. To find language partners near you, so you can learn languages in real life. We use this data to see in what cities the interest of learning with language partners are bigger so we can help them create bigger communities. We use this information to know where we should focus our marketing and advertisement for potential new users. Our users can see how long they can meet with a potential language partner. When date expires, the user can change his new current location so he/she can find a new language partner in the new city. This data information keeps our data base updated on where users are looking for language partners. It makes the user experience better because users will be reminded to change their current location, so other users won't spend unnecessary time on contacting users who are no longer present in the city. We use this information to know where we should focus our marketing and advertisement for potential new users. We encourage our users to have face to face meetings. Therefore, our users need to be 18 years or above. This information has shown to be very valuable for our users because they want to meet with other language partners who are in the same state in life. They can relate to each other more easily. We use this information to get a better understanding of the users who use our website. Which age groups have the biggest interest in language learning with language partners. We use this information to make better marketing and advertisement for potential new users. This information gives our user a better understanding of the potential language partner they can meet with. This way, a German architect who wants to learn Danish, can find a Danish architect who wants to learn German. The language partners will be able to help each other within the same occupational area. It also gives a more transparent view on users, before meeting in real life. We use this information to understand which industries that have the biggest interest in language exchange with language partners. We use this information to make better marketing and advertisement for potential new users. This information gives our user a better understanding of the potential language partner they can meet with. This way, a German student in engineering who wants to learn Danish, can find a Danish student in engineering who wants to learn German. The language partners will be able to help each other within the same educational area. It also gives a more transparent view on users, before meeting in real life. The student also has the option to show what school the user is attending, so the user can find fellow students to swap language with. We use this information to understand which educational backgrounds that have biggest interest in language exchange with language partners. We use this information to make better marketing and advertisement for potential new users. This information is necessary because our users are looking for language partners with a specific skill within a specific language. This information gives Swap Language an insight in what languages are mostly spoken by the users. Swap Language can improve the user experience because the website can suggest the right language partners for the users. We use this information to make better marketing and advertisement for potential new users. This information will also inform you about relevant group meetings the users set up in your area. This information is necessary because our users need to show what language they want to learn in order to find a perfect language partners with the skills within that language. This information gives Swap Language an insight in what languages is wanted to be learned. Swap Language can improve the user experience because the website can suggest the right language partners for the users. We use this information to make better marketing and advertisement for potential new users. This information will also inform you about relevant group meetings the users set up in your area. This information gives the users a possibility to make a better match with a language partner because they can have a mutual interest in a hobby as well as the language. This information gives Swap Language an insight in what interests is wanted to be learned. Swap Language can improve the user experience because the website can suggest the right language partners for the users. We use this information to make better marketing and advertisement for potential new users. This information gives the users a possibility to make a better match with a language partner who can speak the given language from that region. Example: If a user wants to learn Argentinian Spanish, he/she can search for an Argentinian. This information gives the users the possibility to indicate whether they are interested in face to face meetings or online meetings. We create a platform where the users can meet in real life. But there are some circumstances where there are not enough language partners in a given city. Therefore, we offer the possibility for users to have online meetings too. The users have the possibility to personalize their profile, by telling about themselves so other language partners can get to know a little about them before choosing to match up. This is not necessary. This is only for the user to stand out from other language partners and explain a bit about themselves. Swap Language will have an overview of how many are using the service, what cities are using it, what places are popular to meet, how long a language meeting typical takes and what languages are mostly spoken. The users can give and receive references to their language partners after a meeting has been hosted. This give the users credibility, and it will be easier to set up new language meetings with new language partners because users can read about their previous meetings. This information gives an insight to how people are swapping languages, what works and what does not work. Swap Language can use this to create quality content for the users, so they can have better language meetings. A profile picture gives the users a chance to personalize their profile and it is necessary in order to create a language meeting. This will bring more credibility to them, because other users can see the persons face. It is easier to recognize the person when meeting for a language meeting. It is not necessary for Swap Language to have profile pictures. The users can see how many language partners others have. Swap Language can use this information to create a better user experience for the users. If the users want to have many language partners, Swap Language can adapt the website so it gives a better experience. The users can contact each other through the chat system on Swap Language. The messages will be saved so they always can see what have been written. Swap Language is saving information on all messages that are sent on Swap Language. If users post inappropriate messages, pictures, videos or any form of harassment, unlawful, defamatory, threatening, libelous or inappropriate behavior in the communication and profile text in any way, we can find evidence and deal with the specific user. If a user asks for deletion of profile, the chat messages will also be deleted. The users can type in any name they want and edit it when having a profile. The users will experience a higher professional appearance of all users because they are tied to their real name if choosing to use it. This information is necessary for Swap Language. If a user's actions is inappropriate, Swap Language will be able to find and contact the person. If necessary, the profile will be deleted. The user can choose if he/she wants to show whole last name, or only the initials to everyone, or to language partners whom the user has accepted. The users can differentiate their language partners from each other when they have language partners with the same first name and initials. This information is solely to give the users the chance of showing their last name to their language partners and thus differentiate between language partners who have the same name and initials. The users will be able to find language partners near them and see relevant content and ads from their area. When you use Swap Language, we may collect and process information about your actual location. We use technology that is able to determine your location by using IP address, GPS and other sensors. The user's device will be determined so the user can have a better experience on the specific device. Swap Language collects data on which devices the users use, so the experience on the given device can be improved. The details of how you used our service. For example, your searches. Your devices information, for example crashes, system activity, hardware settings, browser type, browser language, the date and time of your request and referral URL. Swap Language may collect and store information (including personal information) locally on your device using mechanisms such as browser web storage and application data caches. This means that when users close the browser or app they used for opening Swap Language will save the data for future interactions with the service. Swap Language use technologies to collect and store information when you visit a Swap Language page. This may include using cookies or similar technologies to identify your browser or device. Swap Language use Google Analytics to analyze the traffic to our website and apps. This will for example give us an insight in your language preferences and we will be able to have our service appear in the language you prefer. We are retaining that data for 26 months. A cookie is a small file containing a string of characters that is sent to your computer when you visit a website. When you visit the website another time, the cookie allows that site to recognize your browser. Cookies may store user preferences and other information. You can reset your browser to feuse all cookies or to indicate when a cookie is being sent. But, there are some services that may not function properly without cookies. When you contact Swap Language we have a record of your communication to help solve any problems or issues you might have. 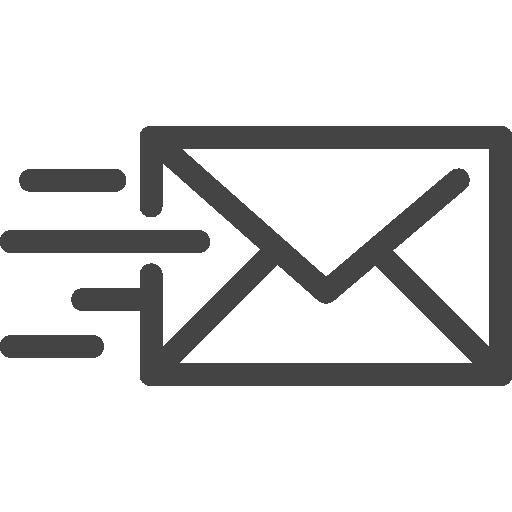 We may contact you on your email address to inform you about our services, for example to let you know about upcoming changes or improvements. After 3 years of being inactive Swap Language will delete your account permanently. All data is physically stored in Amsterdam, Europe. We are subjected to the GDPR rules in Europe, and no matter where in the world our users are located, they are under protection of this regulation. Every person has different privacy concerns. Swap Language wants to be as clear and honest about what information is being collected so you can choose whether you like how we use the information or not. Update and change your Swap Language profile. You decide what types of data you want other users to see. Such as your last name, your language partner connections, what courses you are taking and what courses you have done. You can adjust how your profile appears to others. View and remove your preferences about the Swap Language ads shown to you on Swap Language. By clicking in the close sign "X" in the corner of the ad, it will disappear. You may ask for a readable file with all the information Swap Language has collected on you. You can also ask us to send the information to a competitor if wanted so. In the bottom we have attached a link to the Data Protection Agency where users have the possibility to send complaints. Swap Language gives the user the opportunity to share information with others. Remember, when you share information publicly, it may be possible to find via search engines on Swap Language and outside Swap Language. You can share and remove your content if wanted. Language when you give the consent to do so. It requires an opt-in consent for sharing any information. If the authorities contact us with the request of disclosure of personal data We will share personal information with the authorities in accordance with our legal obligations set in the EU General Data Protection Regulation. We encrypt our services on the website using SSL (Secure Socket Layer). The access to your data is only granted to very few people within the Swap Language Team.